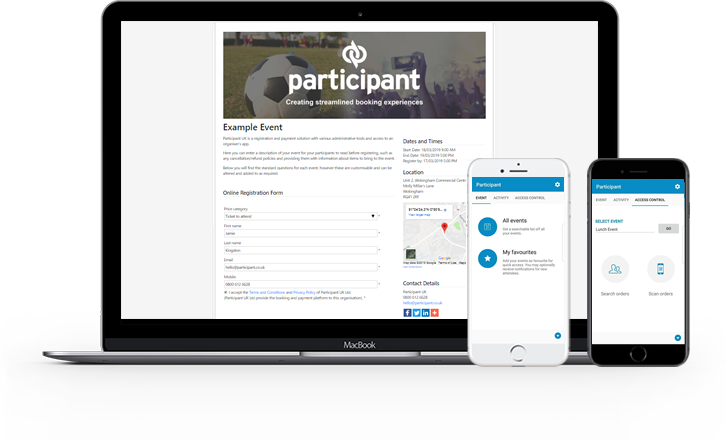 A safe and simple registration solution that caters to the needs of event organisers and participants. Creating an organiser account is easy and free, and the solution can be used for all types of events. Easy registration and secure payment processing for your participants. Add QR codes to your order confirmations and check-in attendees as they arrive with the Participant App. Send emails and SMS to your participants directly from the system. Create and customise your registration form with text, dropdowns or checkboxes. Add in a written description, upload images and attach files. Create promotional codes to offer discounts for your events, either across the entire event or for a select few participants. Our experienced support department will help you with any questions you may have - absolutely free. We pay out to our organisers every week, enabling easy cash flow. Auditor-approved pay-out reports are provided on a weekly basis. You can process refunds through the system, choosing whether to provide your participant with a full or partial refund. No fixed costs, no obligations.